Three steps are needed to get your MC Authority. Send us your Telephone Number and we will contact you and explain about MC Authority insurance requirements and all our services. Step 1 – First-time applicants, who have never registered with FMCSA before and have not been issued a US DOT number, need to register via the new Unified Registration System as of December 12, 2015. Step 2 – Get a BOC-3 Processing Agent. Step 3 – Get MC Authority Insurance Requirements in place and file them with the FMCSA. As per the FMCSA here is how long it will take for you to get your MC Authority. In the absence of opposition, authorities will be issued to those applicants that, within 20 days from date of publication, have filed evidence of appropriate compliance. Yes it will take 20 days to get your MC Authority. A company that transports international household goods and is headquartered in the United States, but is owned or controlled (greater than 55%) by a Mexican citizen or resident alien. Household goods are personal items that will be used in a home. They include items shipped from a factory or store, if purchased with the intent to use in a home,and transported at the request of the householder who pays for the transportation charges. International household goods must originate in or be destined for a home in a foreign country. Getting MC Authority Insurance Requirements. 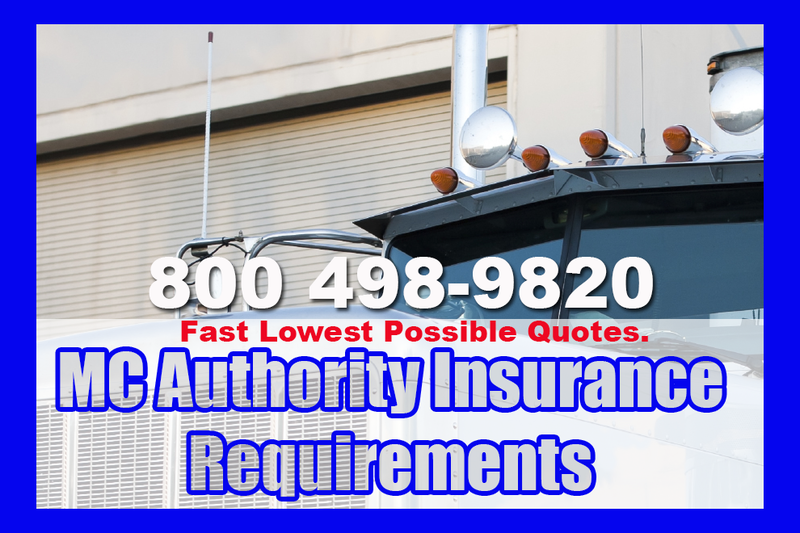 You need to know MC Authority insurance requirements when you are opening your trucking company. This is important so you will know the initial expense of opening your trucking company. In most cases MC Authority insurance requirements can be very expensive so you have to be ready to have the cash ready. To get a n accurate MC Authority insurance requirements quote it is best to work with a company who provides numerous quotes on a daily basis.